If desired, you can create an online work environment for every owner. All entries are automatically synchronized with your booking system. To avoid double bookings, this tool is essential. Owners log in and immediately see what is still available and what is not. The owner can block his own use on the calendar, or make a reservation for family or friends. Owners see an overview of all bookings and their revenues. Owners can give discounts that are implemented immediately on the website. These discounts can only be placed if the administrator has given his explicit consent. In order to use the owner tool, the administrator must give the owner permission for each individual component. This way, there is complete freedom for the administrator to decide what an owner can and cannot do. The owner can enter and maintain the inventory of his holiday home. In the case of electrical devices, it is possible to indicate who should be called in the event of a malfunction. The purchase date and expiry date of the warranty are also included. Good communication with every owner is essential, but the daily workload can make this difficult. The owner support tool is an ideal instrument to simplify the daily flow of information. 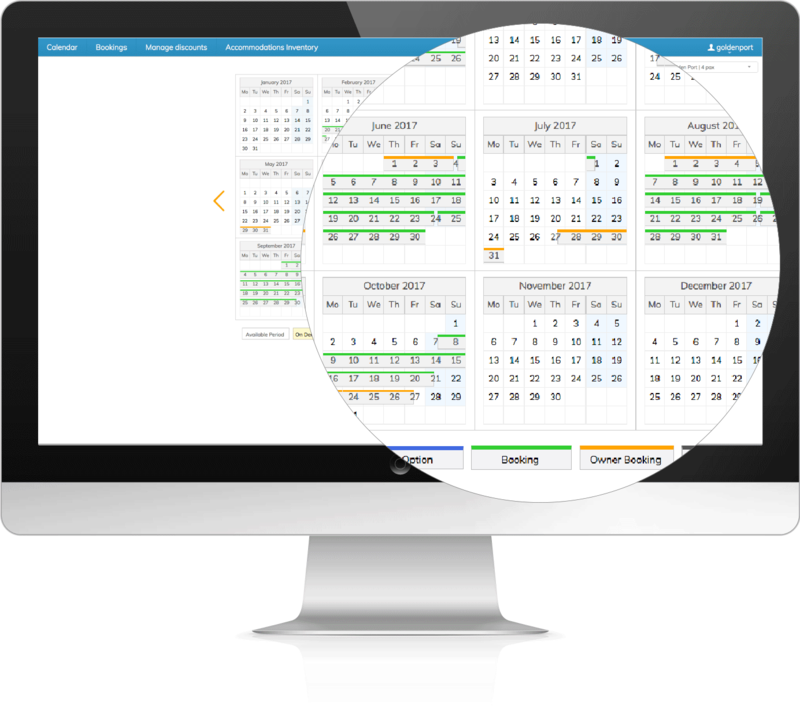 Owners may block unavailable periods, place bookings for their own use or for friends and family. Owners are shown an overview of all bookings made to date, including rental income. Owners can give discounts that are implemented immediately on the website. These discounts can only be placed if the administrator has given his explicit consent.